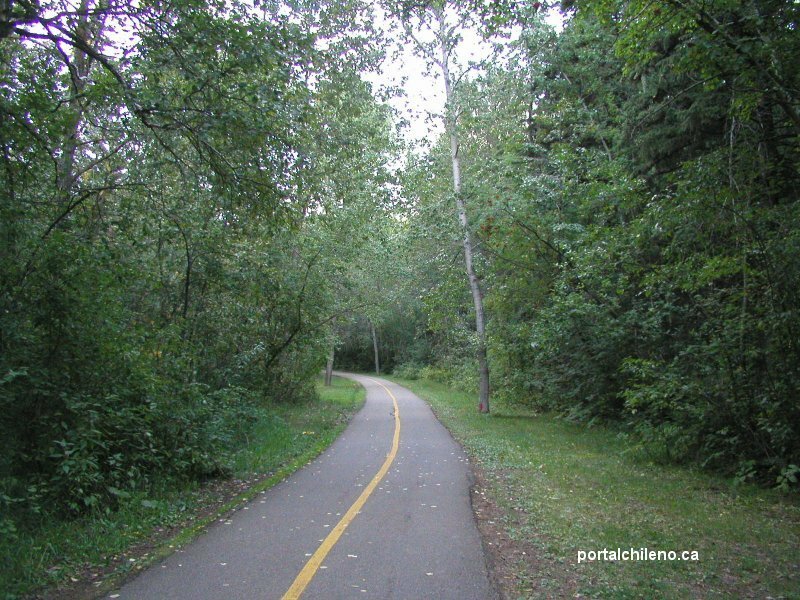 Edmonton has 22 major parks and more than 150 km of trails in the North Saskatchewan River valley. The river valley is used year round primarily for picnics, hiking, biking, and cross-country skiing. Edmonton is one of the cities with the most urban parkland in North America. The Legislature buildings. 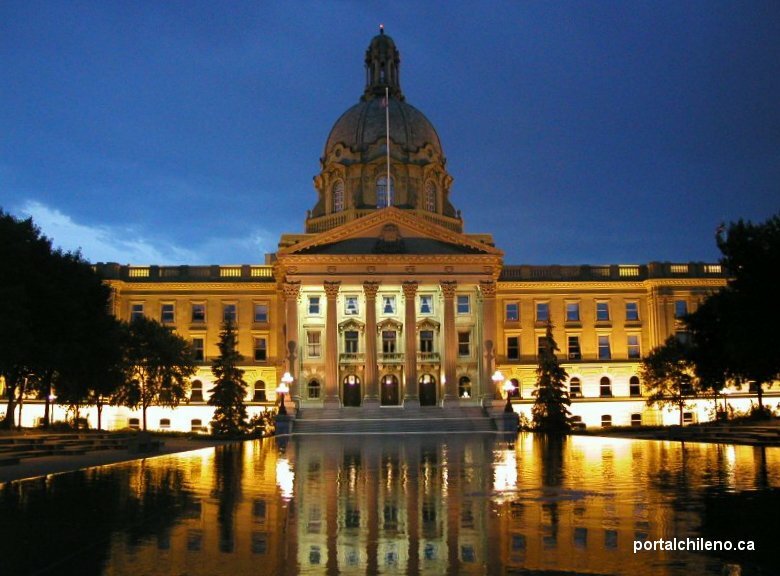 Edmonton is the political and intellectual capital of Canada's province of Alberta. 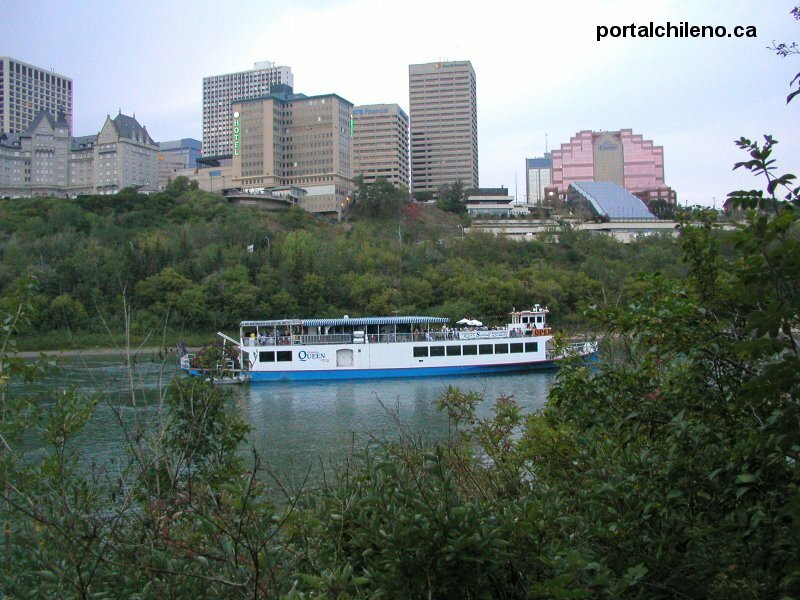 The Edmonton Queen paddleboat takes visitors on a beautiful cruise through the River Valley. 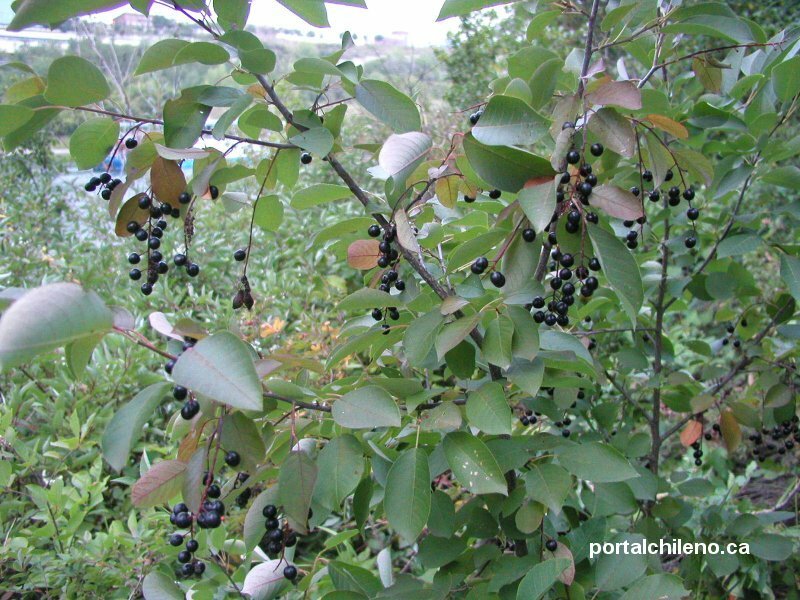 Chokecherries are a common wild fruit and belong to the rose family. 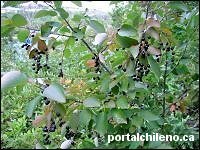 The fruit is strong and rather bitter, but make delicious jelly and syrup. Edmonton's climate is temperate with four distinct seasons. Snow cover characterizes winter from November through mid-March. Summers are generally dry and sunny. Average temperatures range from 17 C in the summer months to –15 C in the winter months. 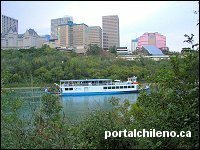 Edmonton is the capital city of the province of Alberta and is located near the geographic centre of the province. Alberta is directly north of the U.S. state of Montana. 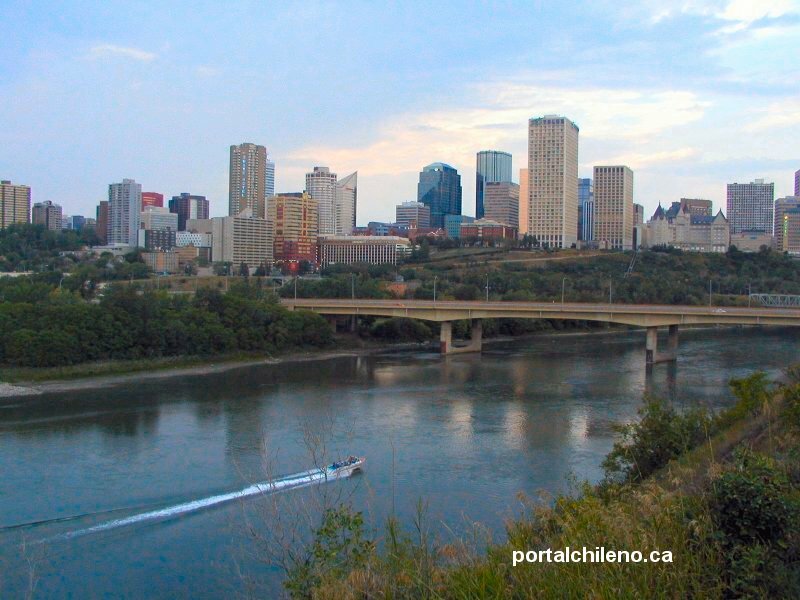 The Edmonton metropolitan area is the sixth-largest in Canada with a population of more than 937,000 people. 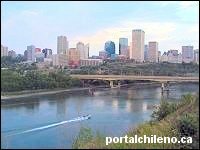 Edmonton encompasses 670 square kilometres, making it one of the largest cities, by area, in North America - larger than Chicago, Philadelphia and Detroit. Edmonton's Census Metropolitan Area (CMA) is 9537 square kilometres, an area slightly larger than the Mediterranean country of Cyprus. The Muttart Conservatory, located at 9626-96A St., has more than 700 species of plants. It has arid, tropical and temperate pyramids, as well as a show pyramid. 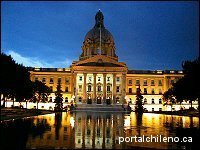 Edmonton is also known as the City of Champions for its long history of successful professional and amateur sports teams. Edmonton is Canada's Festival City, due to the abundance of successful festivals, including North America's largest alternative theatre event, the International Fringe Festival.